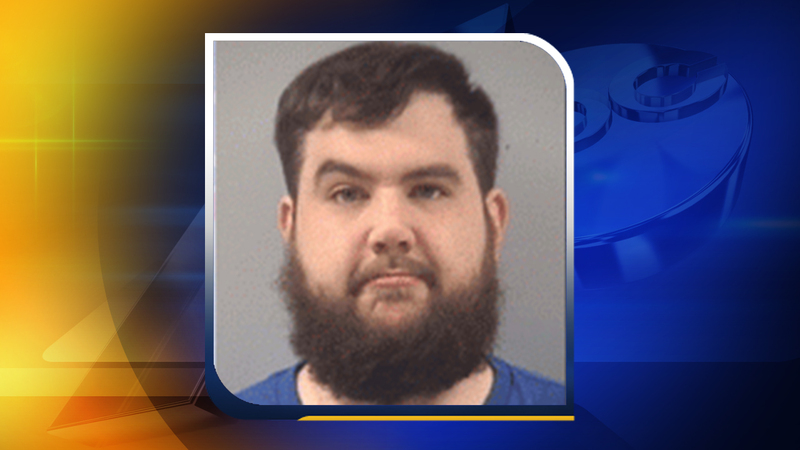 JOHNSTON COUNTY, North Carolina -- Authorities say a former 911 dispatcher in Johnston County has been arrested after he threatened to shoot up the county courthouse. According to the Johnston County Report, Justin Parrott, 27, was arrested Friday night. Officials say around midnight Thursday, an employee was leaving the Johnston County Courthouse and saw Parrott outside the facility. Parrott allegedly asked the employee to allow him inside the courthouse, which had already closed for the day, but the employee denied him access. Parrott allegedly tried to get into the courthouse again around 5 a.m. Friday. Authorities say another employee was arriving at the courthouse at the time and during a brief conversation with Parrott, the supervisor asked him why he was outside the courthouse so early in the morning. Parrott allegedly replied, "I'm casing the place to shoot it up." According to officials, Parrott was fired from his job with the 911 center on September 8, but they would not say why. Parrott was charged with one misdemeanor count of communicating threats. He was also served with a restraining order preventing him from returning to the courthouse until his court hearing scheduled for Friday.